Increased exposure to Vitamin D. Spending time outside is a natural way to allow yourself some increased exposure to Vitamin D. It’s important to wear proper SPF protection and gear to lower your risk of sunburn, however, exposure to Vitamin D increases your calcium levels, which benefits your bones and your immune system. Boost your mood. Gardening has been shown to be an activity that lowers anxiety and stress, naturally boosting your mood. 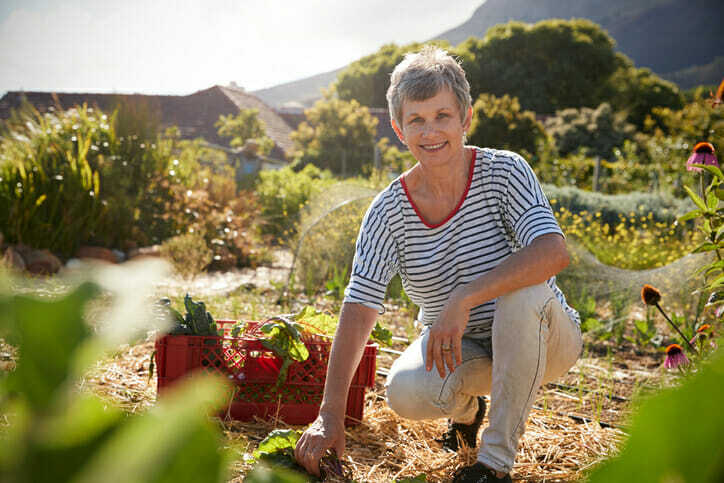 As you take the time to garden, you may be surprised by the mental health benefits. Aerobic exercise. As you’re focused on twisting and reaching to weed your garden, you may not even realize you’re breaking a sweat. Gardening is a great way to get in some aerobic exercise without even stepping on a treadmill. Decreased risk of chronic disease. Since gardening lowers stress levels and keeps you active, it lowers your risk for chronic diseases such as heart disease and diabetes. For these reasons and more, picking up the hobby of gardening can be the perfect outlet for you. Celebrate a healthier you this week by trying it out if you haven’t already!